We have just delivered the second spot in a new campaign for Lexus which showcases their cutting edge automotive technology. The collectively titled ‘Turntable’ spots were directed by Raf Wathion who employs his signature technique of blending in-camera trickery with seamless visual effects – all helped along by our talented team of VFX artists. 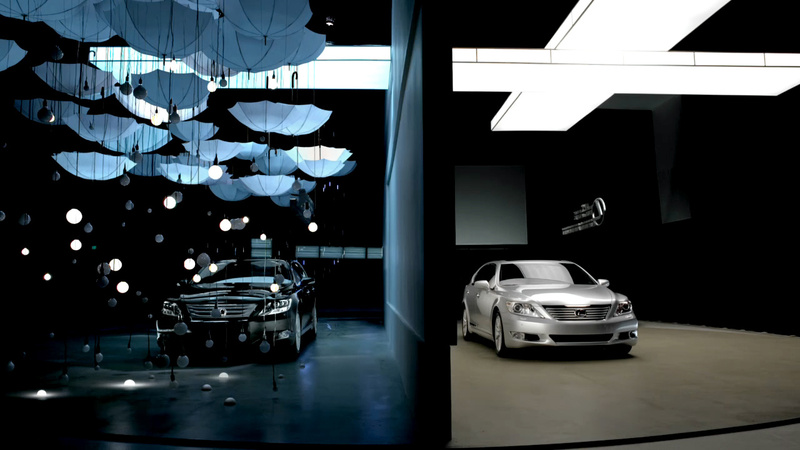 The premise of the 30-second commercial is a continuous 360 degree rotation of a studio where each half of the set acts as an ever changing 'art installation' depicting different features of the new LS model. Raf was keen to capture as many of the effects as possible in camera so we were there from the early pre-shoot planning stages to enable him to realise his creative vision for this stylish spot.